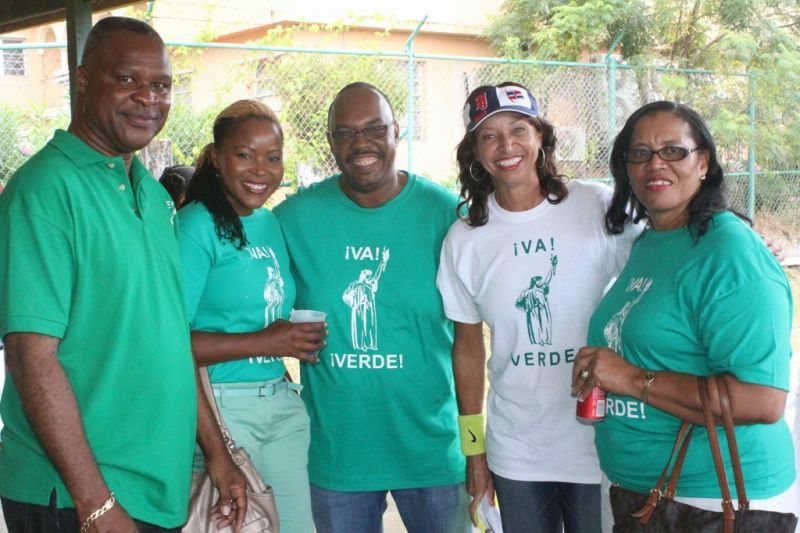 LONG BUSH, Tortola, VI – Virgin Islands Party (VIP) candidate for District Four JoAnn ‘Roxie’ Romney yesterday May 10, 2015 kicked her campaign into high gear with an appeal to the Latino community of the Virgin Islands for her election so that she could address the many ills that plague the district. Speaking at the softball field in Long Bush where the VIP held a social day for the Latino community, Romney linked her effort to the game of softball, saying that she has a winning team with her and it is only now left for them to score big come Election Day on June 8, 2015. 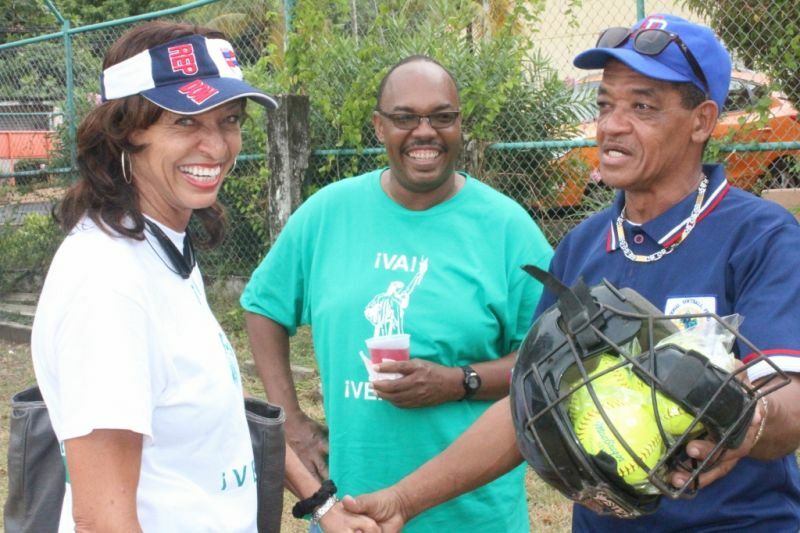 “I look around the Fourth District, even as we are here on this baseball field and I see the poor condition of such a field I grew up playing on competitively and this is unacceptable,” she said. 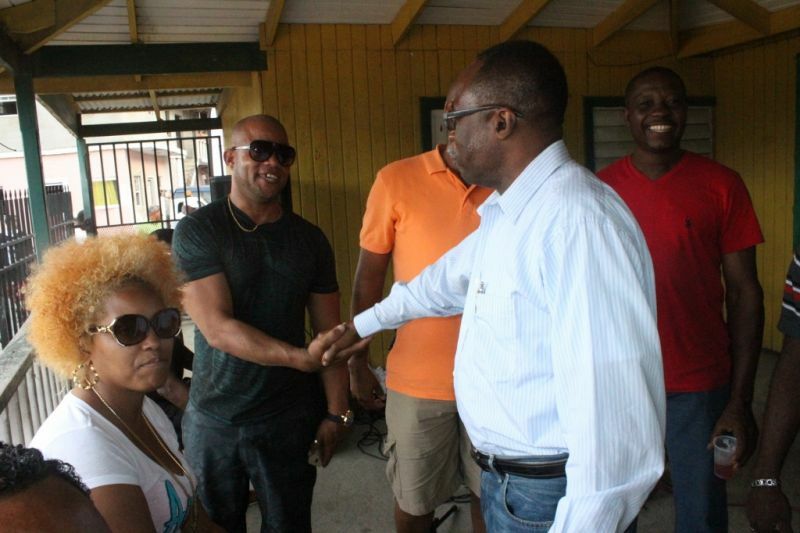 “I look around the Fourth District and I see no community centre, why? This is unacceptable. I look around the district and I see young people that need jobs, secure jobs and are hurting right now and are out of work. This is unacceptable,” she said. “District Four needs better leadership…vote for your MVP JoAnn Roxie Romney and our team to bring me home are our Territorial At Large candidates: on 1st base Irene Penn-O’Neal; on 2nd base Charmaine Rosan-Bunbury; on 3rd base Sharie B. de Castro; on home plate Dr Karl Dawson,” she said. She said that comes next is a grand slam vote for the winning ticket for the Fourth District. “A vote for JoAnn Roxie Romney in the Fourth District and a vote for vote for each of your Territorial At Large candidates is a home run! Game over! 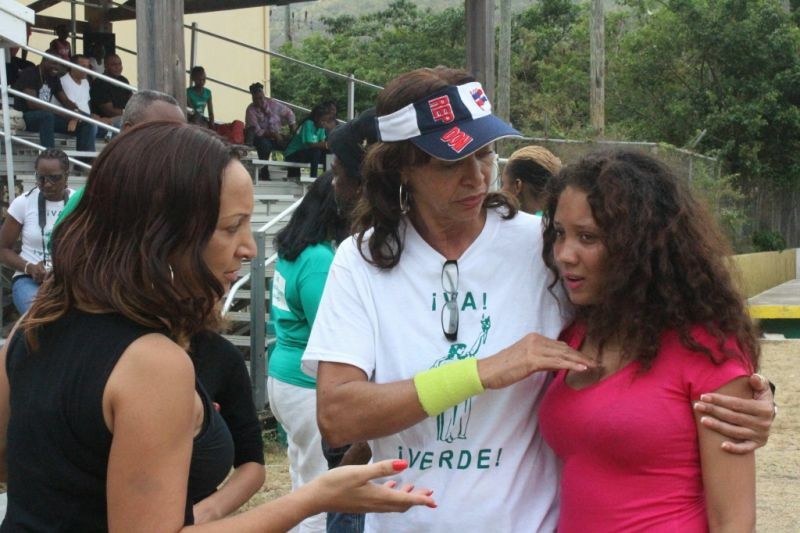 And let us take the Fourth District to a whole new level,” she said. Romney pointed out that her business ventures and activities have helped to create job opportunities for her fellow Virgin Islanders, through partnerships with Colombian Emeralds and Digicel, bringing jobs and competition to make life affordable and this will continue if she is elected. 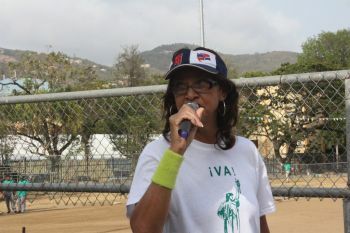 “Especially with the help of our Virgin Islands Latino supporters and all other Virgin Islanders that will vote for me in the Fourth District, I will make it my responsibility to represent all interest groups to have a fair and equitable opportunity with secure jobs in a country that you and I call home,” she said. 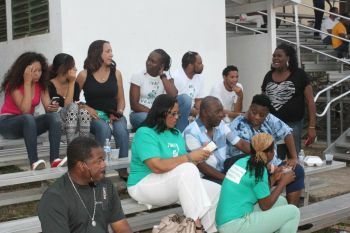 The event was coordinated by Devon U. Osborne who called it an informal event which gave the opportunity for families to come out for a social gathering and to hear the plans for the district that the party has. Being fluent in Spanish, Osborne acted as interpreter for Romney when she addressed the Latino community yesterday. But can the Latinos vote? Or are we assuming that these are the Latinos that the sitting Gov bribed with belonger status so they can vote for them? Either way, no one else is speaking for the Latinos but Roxie and the VIP. Let's go VIP, VIP All The Way!!!!! Yes sah!!! Look a woman of action here. A whole new level of representation for my family. Nobody can't say she can't do the job. Enough of the corruption, vulgar, cronyism, victimization, lies, nepotism, disrespect to our people and culture. Roxie will help everyone. She will build good leaders in the 4th district. Road minister too busy fixing roads. I have family in the 4th they need help. I can say teenage pregnancy high over here. Violence among youths high. Loitering high. The youths need a mentor a serious person. 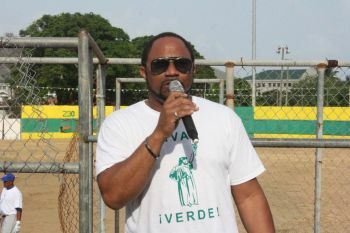 A man too busy supporting the illicit community, lack integrity. Take our children back woman of action. The Spanish community will embrace you. Road Monister ain't no good. Anybody ever see him sitting across the cemetery. 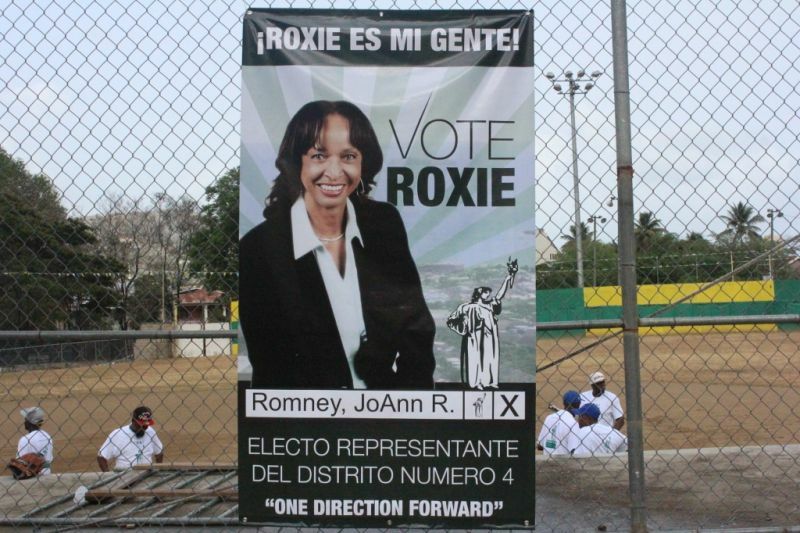 Voting for Roxie is real progress minus the corruption. That's the problem, Romney! Too many politicians sitting down! Roxie is standing firm. In fact, she is a running. At the end of the day she will hit ALL the bases! 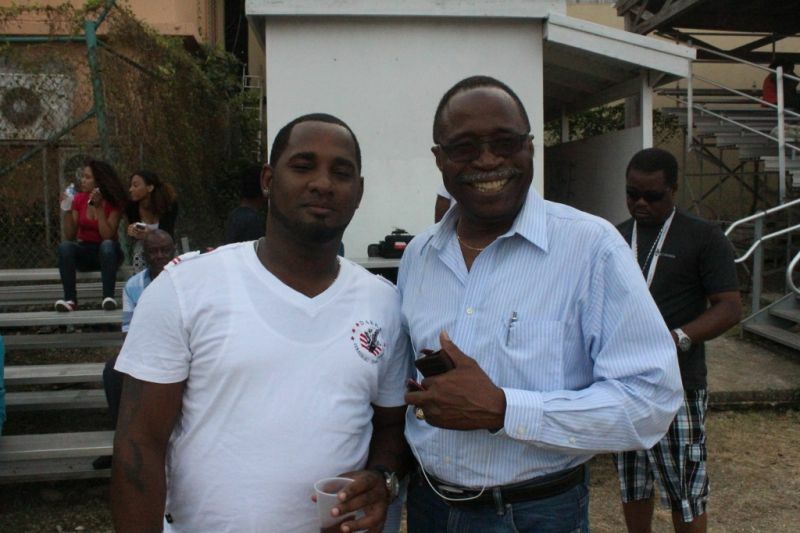 Mark ain't do a thing for the district more than he was minister of communications and Road town see a lot of action but he ain't do a thing for the residents of the district not a thing. District 4 still has many social ills. Sorry to inform you, but those social ills are more important than roads. It is lile having a beautiful tomb with dried rotten bones on the inside. We need to start taking care of people. The BVI Investment Club comes first....then everybody else gets the remainder. If we assume who will win the elections based on the blogs from the 3 sites then it will have a lot of pampers selling while the votes counting. A blogger can type what he want, but a voter will vote what he wants. She is fresh blood but I worry about her connection to chain stores and to her family business of cruise ships. I hope she puts people, heritage and preservation first before personal gains. I hope she has that in check. But I congratulate her challenging Vanterpool. 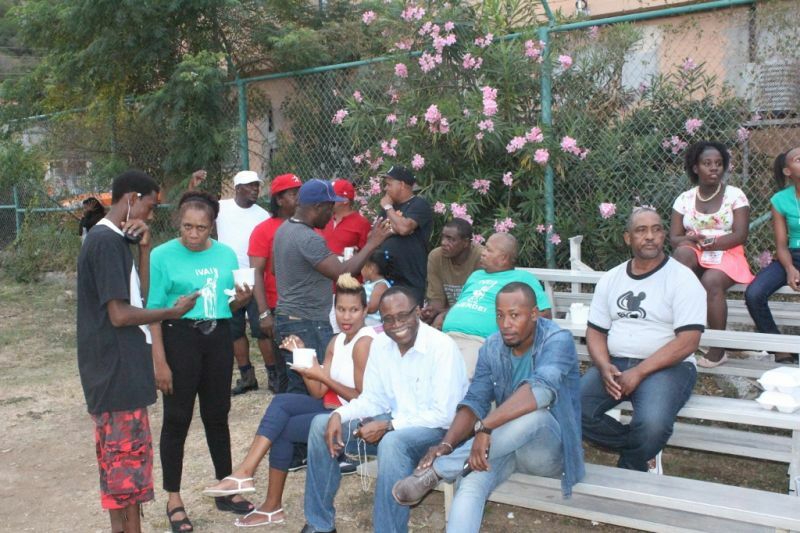 Why you don't talk about those on the NDP side who are connected to water/cellphones/bill collection and catering??? Why should I? I agree with you. They both do it. I was just hoping she and supporters were aware of it. She is better than Vanterpool. So chill. Mark is my boy and all but I just read an article about his mother on another site and now I'm a little confused. His mother ain't from here and he ain't from here so how is he qualified to run for election just curious. I know Myron eligible since he born here before a certain date despite none of his parents or grandparents being from here. What makes Mark eligible? Lol I wasnt dissing Mark, it was a serious question. 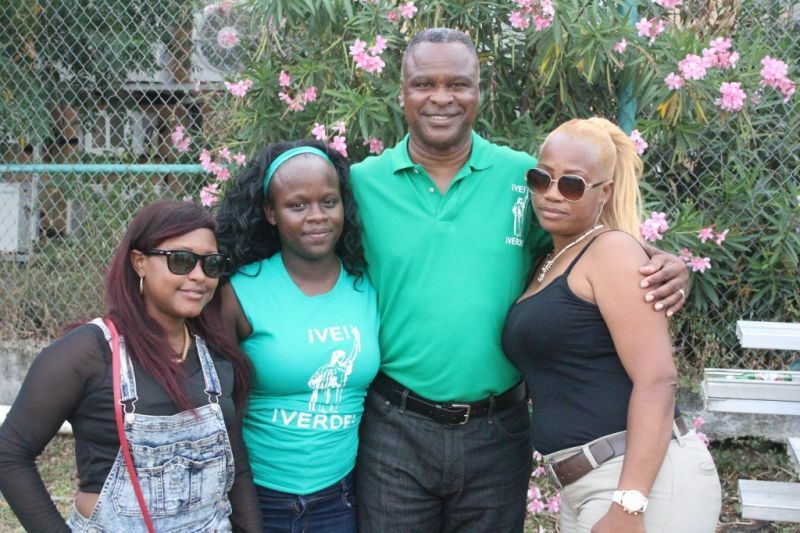 Hey, you got to like a politician who can run, hit, catch and won't engage in "trash talking!" Actions speak louder than words and Latinos get this, especially on the diamond! That's just it, ooooo! NDP has promised a bed of roses and when they come up wilted the ole lemon scent came out. Ohh yes! 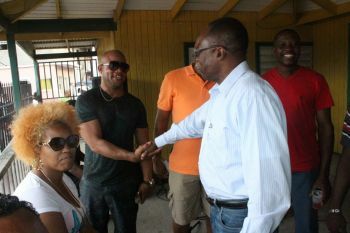 I listened to them congratulating the TT man for solving the sewage problems in Road Town. Yes all the spill over which ran unto the road has been diverted into the drains which take the mess into Village Cay Marina and in front of Tobacco Walf. The Purcell junction and Delta Gas Station smell like an open sewer. That is raw sewage from Purcell and from the Right Way areas. This is all year round. Sargossum is seasonal.